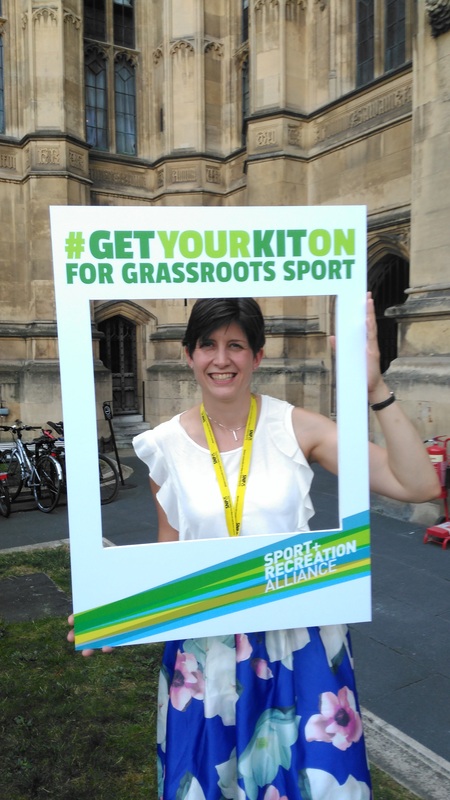 Last week I took part in the inaugural Parliamentary Sports Fair to support the #GetYourKitOn campaign, run by the Sport and Recreation Alliance, for grassroots and community sport and recreation. As politicians, we have a responsibility to consider the wider implications of the decisions we take, the causes we promote, and the impact they will have on our constituents. Grassroots sport and recreation is one such cause which I am proud to champion. At a time when our local services are under enormous pressure, and demand is growing, we should look to alternative and innovative solutions to help us tackle the challenges and opportunities facing society. Sport has a significant social value, which is often under-appreciated; it can make us healthier, happier and help to create close community bonds. It can teach us valuable life-skills and it can inspire us to try new things and challenge ourselves. The success of the GB teams in the Olympic and Paralympic Games highlight the depth of talent and passion for sport that we have in this country. However, without accessible facilities, trained coaches and valued volunteers, those aspiring champions and recreational enthusiasts would not have an outlet for their talents. Ensuring local communities have such facilities is of primary importance to the future health of our nation. I was excited to see the Sport and Recreation Alliance launch their Get Your Kit On – A Guide to Grassroots Sport and Recreation at the event today. I look forward to working with the Alliance and their members to help support sport and recreation in my own constituency in order for the true benefit of sport to be felt by everyone in the local community.